it took me 3 weeks painting the wood (i first protected it with diesel and after it dried up i painted it with used motor oil from a car which you can get for free) it took like 2 weeks to dry up, but i hope its going to provide a good protection. i assembled the whole mini ramp in 5 days and i painted all the plywood with exterior polyurethane. 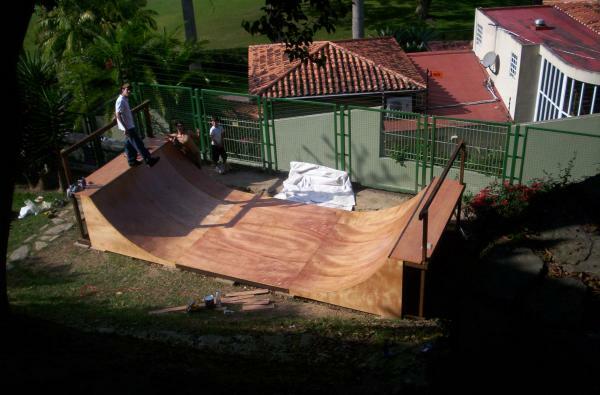 the mini ramp is 4 feet high and 9.84 feet wide (3 meters). i also got a tarp to cover the mini ramp whenever im not using it, that way im hoping it lasts me a long time.